i’ve popped back and forth to essex a couple of times over the last few weeks. it’s strange seeing the place you grew up, once you’ve grown up is it. everything looks the same but smaller. on my way home on one of these occasions i cut through the back roads through the woods, for old times sake, when i noticed a sign. 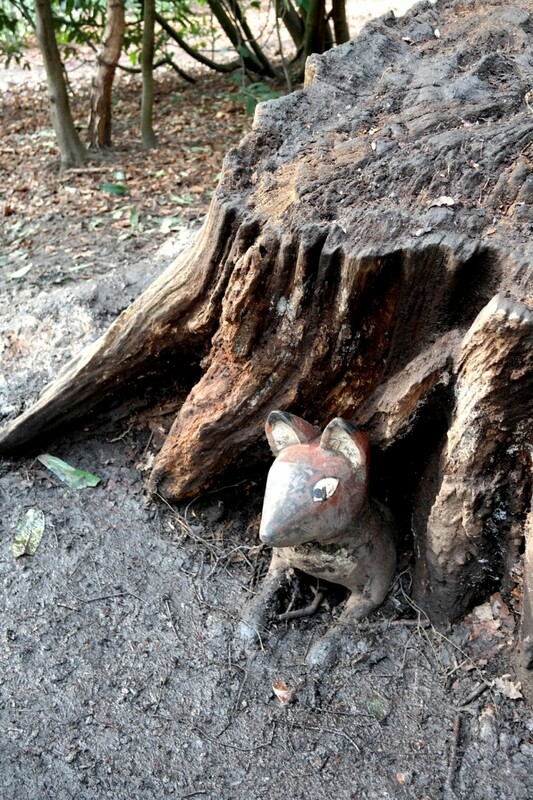 it said the gruffalo trail. yes i remember being told about this by a friend and also a blogger, but had swiftly forgotten until that very moment. 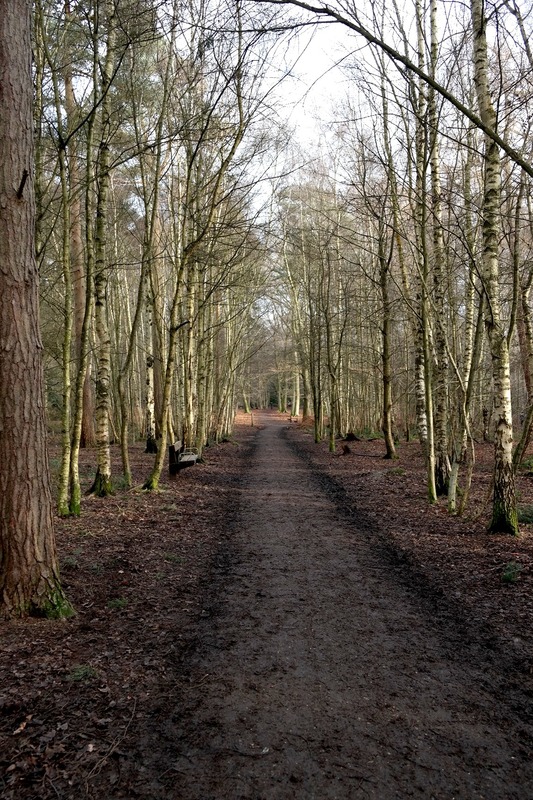 i came home i googled and prayed for sunshine or at the very least no rain at the weekend so that we could explore the woods of thorndon country park. sunday came, the sky was clear, the sun was shining, we pulled out our boots and jumped in the car. 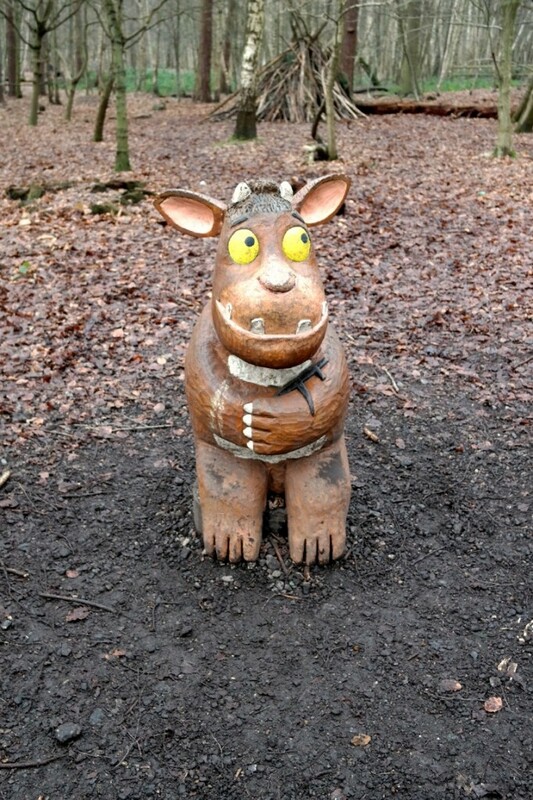 we were on our way to the gruffalo trail. the trail covers the six key characters from julia donaldsons book the gruffalo. 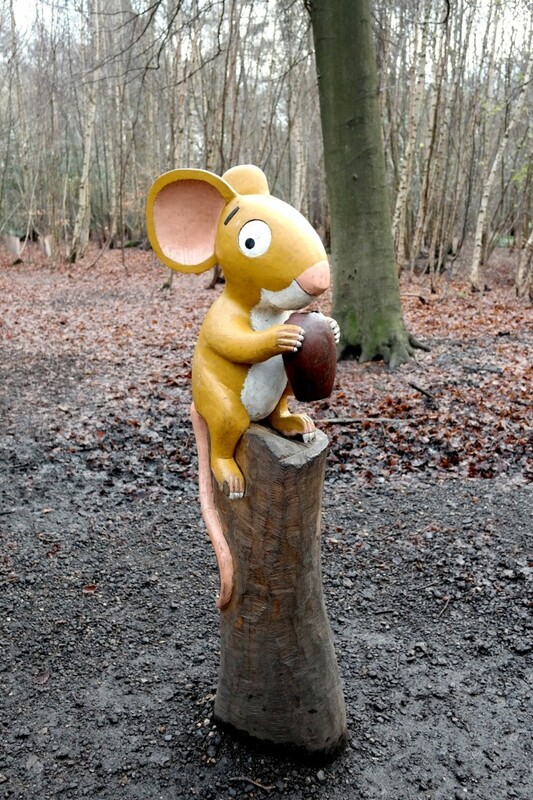 each sculpture is carved perfectly to replicate the characters illustrated by axel scheffler. the trail takes around about an hour to walk, so not to taxing on little ones feet. 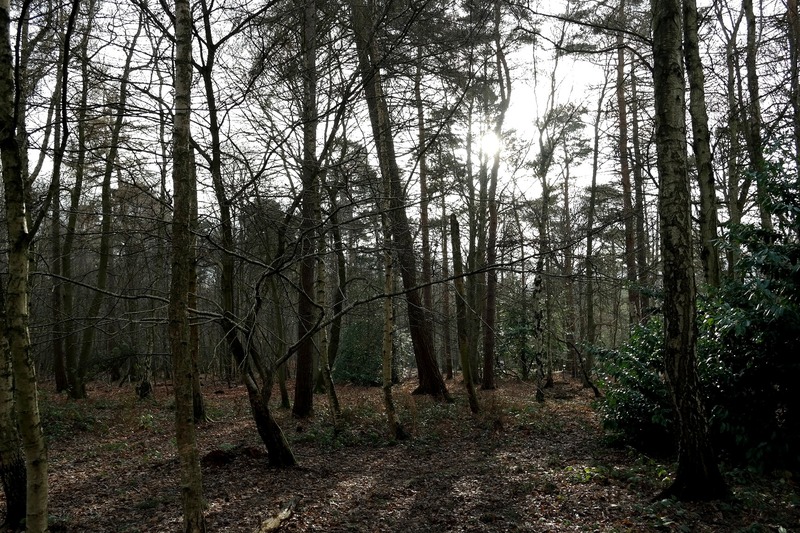 there are acres of woods to explore if you want to extend you visit, or you could take a picnic perhaps or gather some branches and build a den like so many others had before us. but first you must swing by the visitors centre and pick up a map for the mere price of fifty pence. then you can start planning the route. “the big bad mouse is terribly strong and his scaly tail is terribly long. his eyes are like pools of terrible fire and terrible whiskers are tougher than wire” but who is this, creature with terrible claws and terrible teeth in his terrible jaws? he has knobbly knees and turned out toes and, a poisonous wart at the end of his nose. his eyes are orange, his tongue is black: he has purple prickles all over his back. stick man you say? must look that one up straight away! This looks so good! 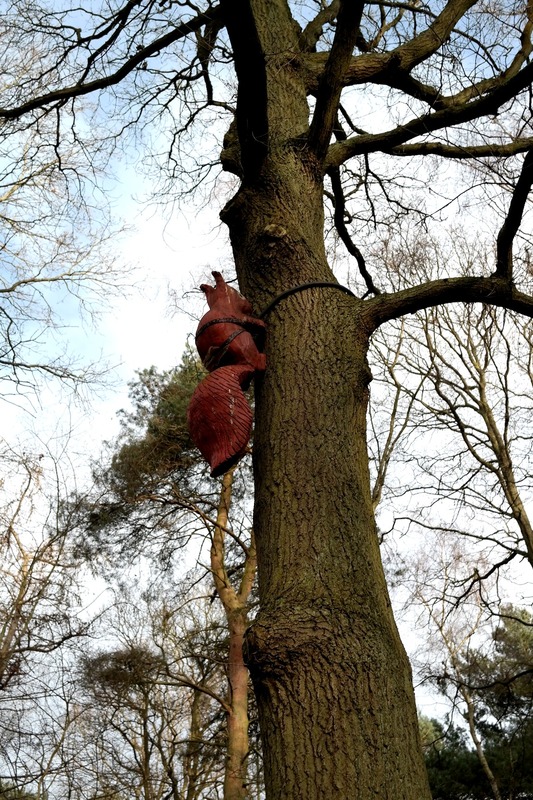 We’ve recently done a Stick Man trail, but would love to try this, too! i’m most excited to hear about the stick man trails, am searching for our closest one straight away! 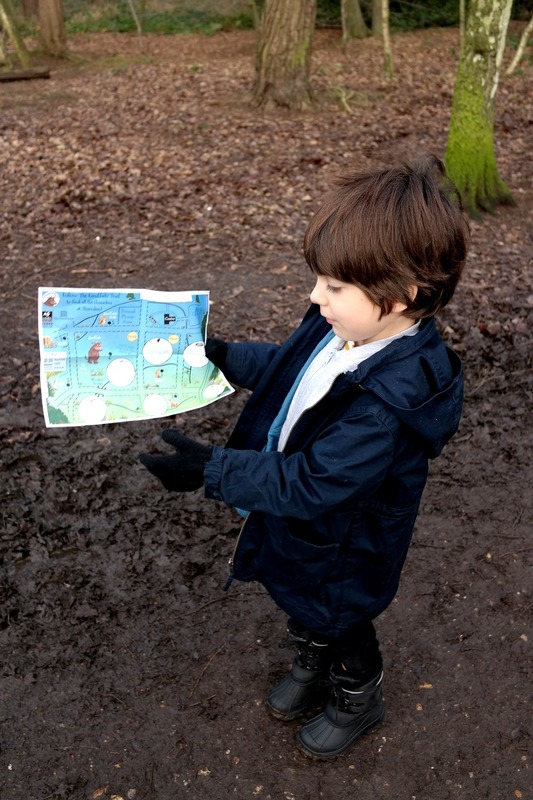 it’s really really good slopping around in all the mud looking out for the gruffalo! a couple of people have mentioned the stick man, there’s one not so far from us only on until the end of the month though so we are trying to see if we can do it! 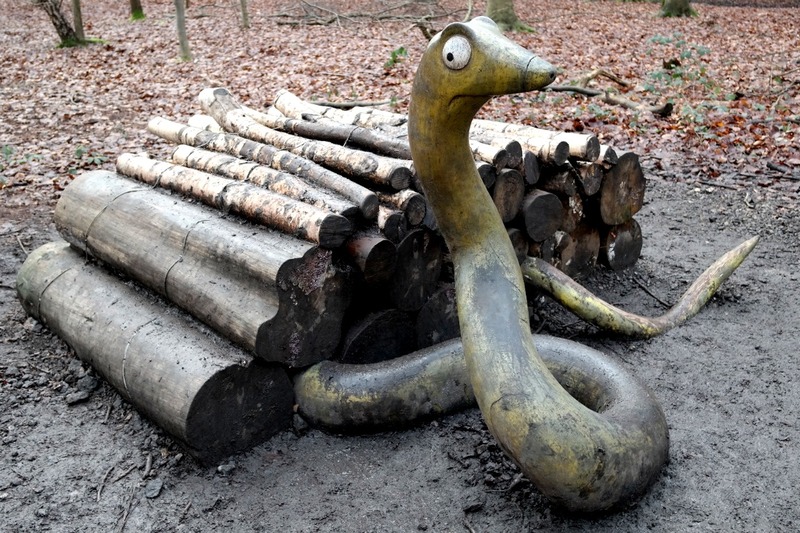 I don’t think we could ever tire of this fabulous story and it’s great that these trails and others like them (The Stick Man) are there for our children (and us) to enjoy. Thanks for linking up and sharing your adventure with Country Kids. we got home and watched both the gruffalo and the gruffalo’s child. oh and then again today… what have i done! 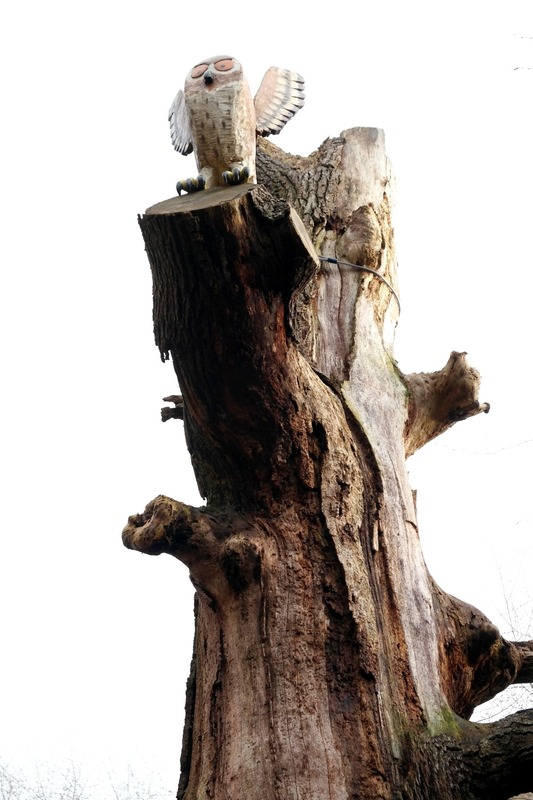 thorndon is a lovely park, thick with trees, great for little minds to explore and investigate! i was really impressed with the sculptures, we were lucky and had great weather for this time of year. it meant was could slop aorund in the mud but not get wet! bonus! What a cool trail. I’d love to do this one day soon with little z. We live way up North though so going to have to make a trip down for it sometime. the stickman is all over the place, i might show this to reserve manager of our local woods and see if he fancies looking into doing soemthing similar. I’ve heard good things about this trail. Awesome way to spark their imagination while out and about. My wee man would love it. 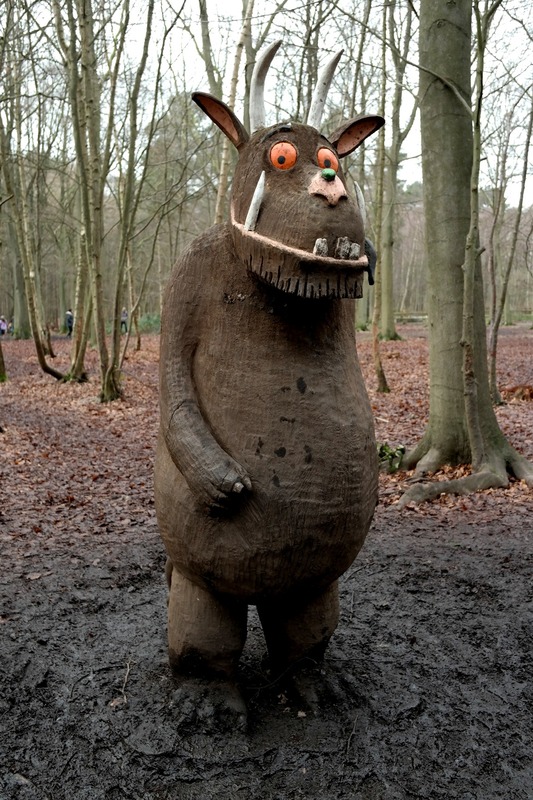 I have seen a lot of Gruffalo trails and walks and this looks, by far, the best one. I want to take the kiddies here 🙂 Great photos. 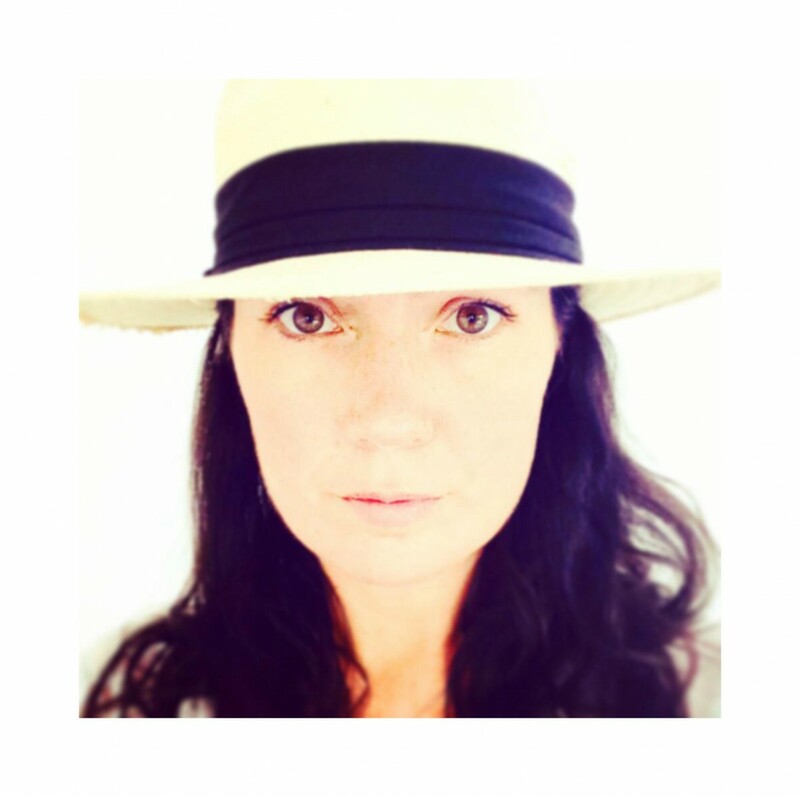 Lovely photos, so glad you enjoyed it. It looks like it was just as muddy as it was when I went! Still great fun though!